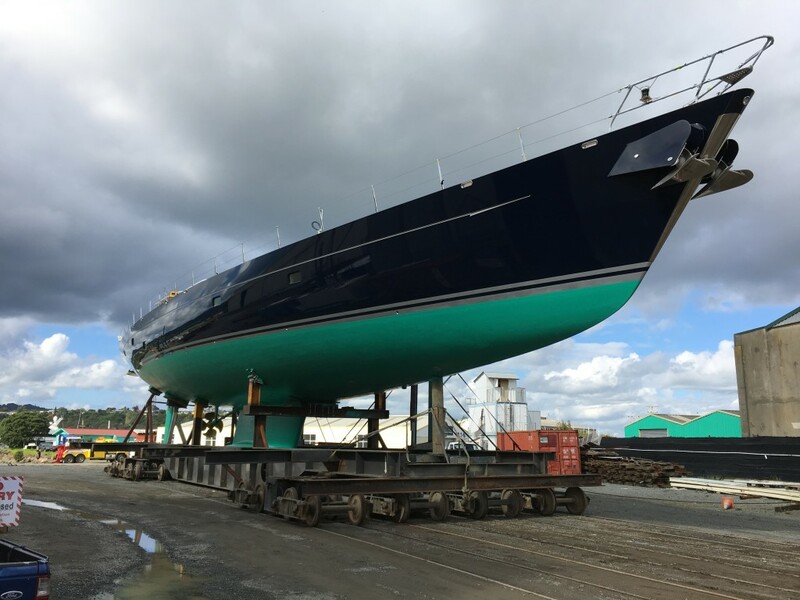 The 43M superyacht Bella Regazza looks spectacular as she is re-launched from Oceania Marine’s North Shipyard at Port Whangarei in New Zealand. The Oceania Marine Coatings team have excelled themselves with the standard achieved on this project. Over the course of 4 months, Bella Regazza has been transformed. In addition to repainting, she now sports a new teak deck and refreshed interior. The rig was removed, serviced and repainted as well as all necessary survey and maintenance work carried out. 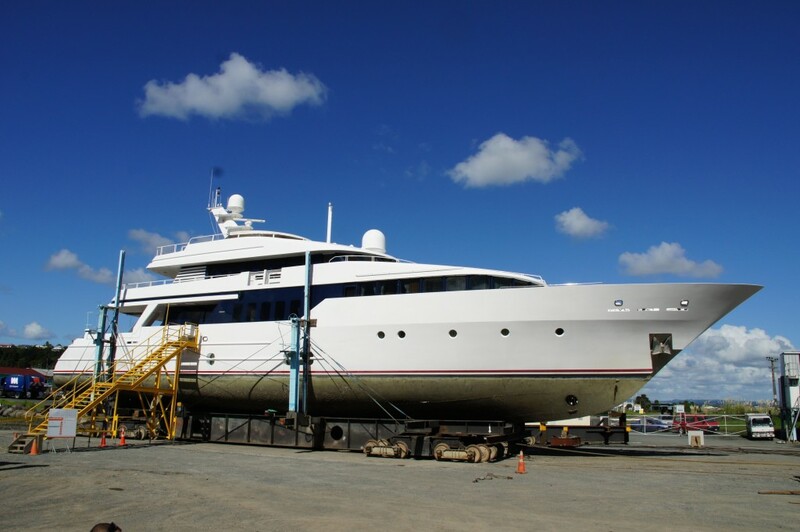 The project was accommodated undercover in Oceania Marine’s specialised refit facility, Shed A, that incorporates crew facilities, storage and workshops right alongside the vessel. Oceania Marine’s senior project manager, Brent Charlesworth, oversaw the project with the vessel captain providing onsite owners representation. 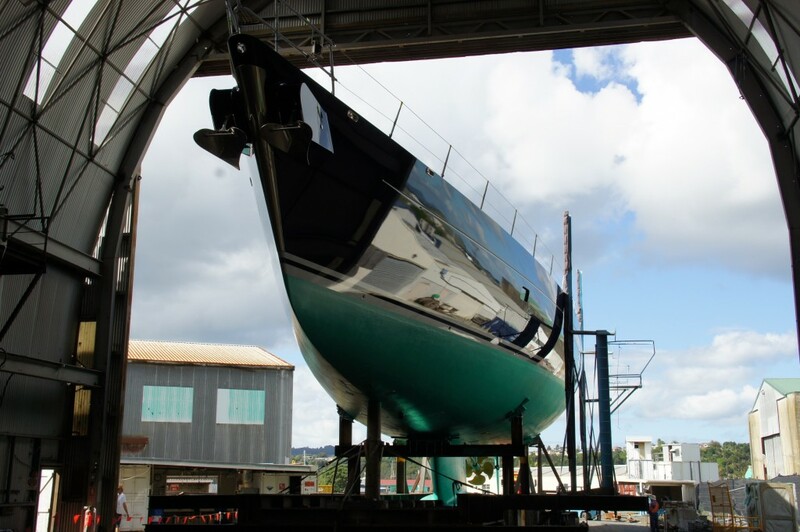 The shipyard had to make a quick turnaround after Bella Ragazza as the next refit project was waiting to start. Within days 40M superyacht Be Mine was hauled out, pressure washed and rolled into Shed A for an intense 10 week major refit. This is next in a series of back to back projects through to February next year.